I couldn’t help but notice that all of my friends still in Germany were festing this weekend. You know, doing this sort-of thing. Well, I’m pleased to report that I did a bit of festing myself…El Paso style. 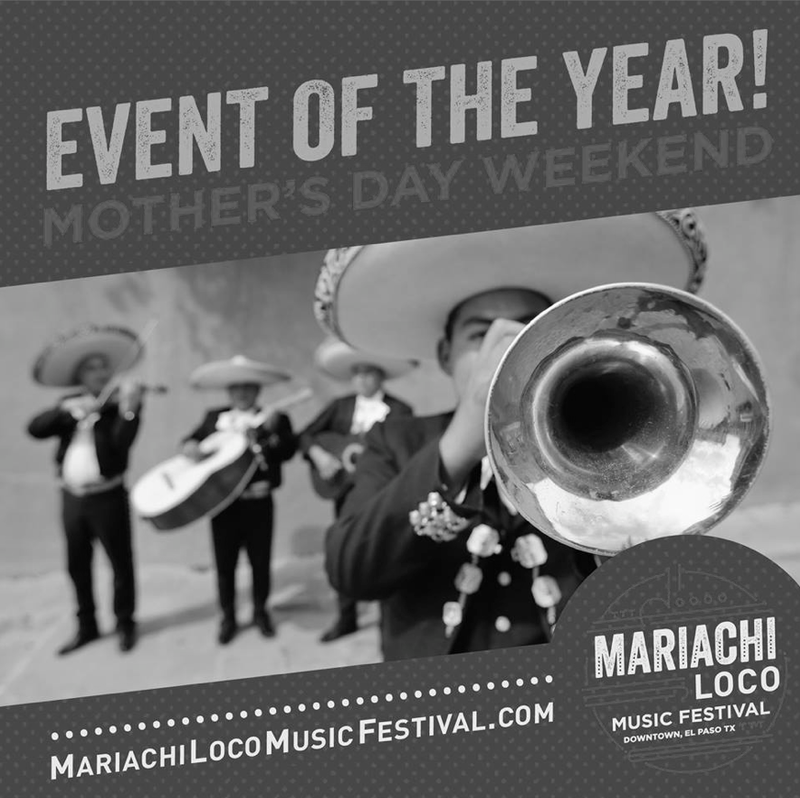 We just had our Mariachi Festival. It wasn’t terribly large, no one but the performers were in costume, and there were not a bunch of drunk people dancing on wooden picnic tables; but the music and food were great. The only live mariachi music I’ve really seen is a trio at a Mexican restaurant on a Friday night walking around from table to table taking requests. You end up hearing LaBamba way too many times. This was nothing like that. Mariachi seems to be alive and well. Each day there were over 10 performers or bands. They came from around the area and Mexico as well. A few streets downtown were blocked off and the stage was set in an intersection. The surrounding area was full of food and beverage trucks and carnival games. In the photo, we happen to be standing in front of the food truck we ate at. They served the best tacos I’ve had in El Paso thus far. While we were stuffing our faces with tacos al pastor the MC was walking around the crowd with a microphone engaging the audience between acts. It was all in spanish of course. We were hoping that if we kept our faces in our food he wouldn’t notice us. Not. He came right over to, I’m assuming, ask us how our food was and if we were enjoying ourselves. We had no idea what he said and it turned into a conversation of him speaking and Phil answering by saying some nonsense that rhymed. Everyone laughed, including us, and we had a moment where we were confident that we were the only people in the crowd that didn’t know spanish. We didn’t play any carnival games. We figured there’s plenty of time for that in later years. Once the kids come we won’t have a choice. Dad is going to have to pop a balloon with a dart to win the kitties a stuffed animal; and he’s obviously going to have to do it twice. 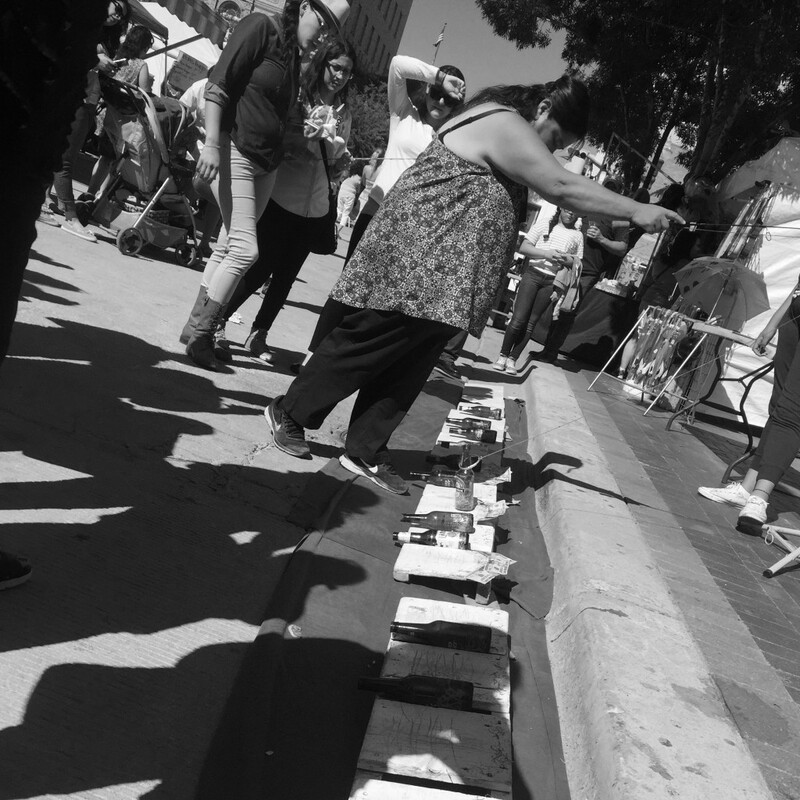 We did, however, enjoy watching this lady hustle half the festival out of their money by offering them a chance to win $100 if they could get the beer bottle to stand up straight by using this bracelet on the end of a fishing pole. Phil and I are thinking about making a version of our own for backyard parties. If we practice enough maybe we can give that lady a run for her money next year. 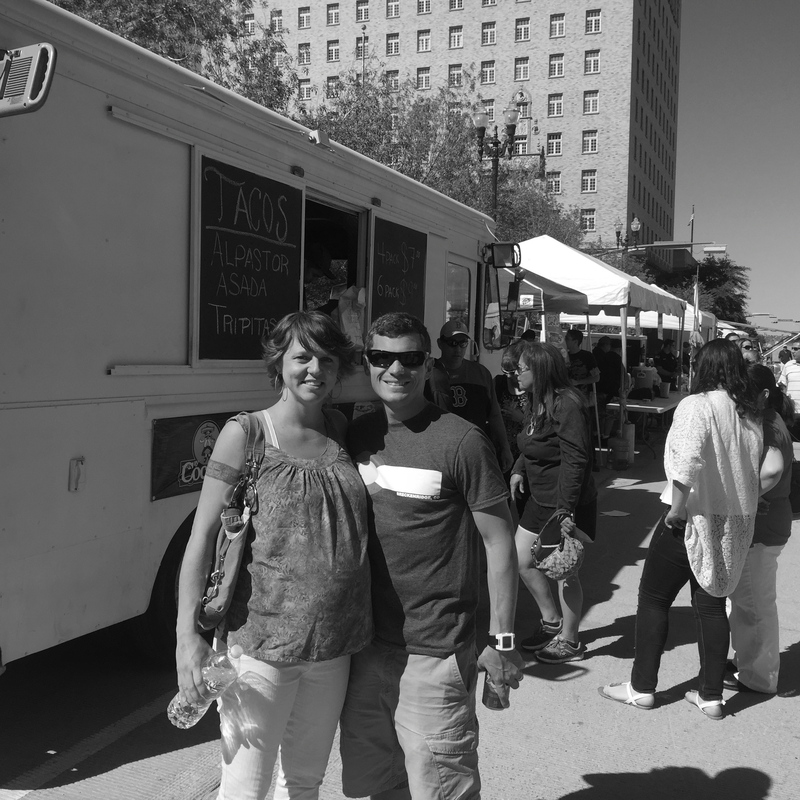 This entry was posted in Community, Texas, Uncategorized and tagged El Paso, Festival, Mariachi, Tacos.